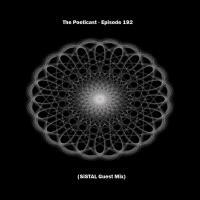 The Poeticast is very pleased to welcome another guest to the podcast and this show is an excursion from our usual four to the floor Techno bangers as we are joined by ambient and experimental producer SiSTAL for Episode 192. Stas Sursyakov a.k.a. SiSTAL is a music producer and resident of the Musical Castle and owner of the label RIR. His compositions are filled with musical mystery, built on the extraterrestrial motif, which to dive the listener into the meditative and hypnotic state. And during his shows, he is seeks to deep philosophical meaning, mastering all the body’s cells to resonate. SiSTAL believes that music can tell about a person more the man himself and therefore you are have to opportunity to see the world through his is eyes. During his speeches, he tends to deep philosophical meaning, making all the body’s cells to resonate. Sistal is known for his appearance on the biggest Ges Fest Festival and participation in other events in the central region of Russia and the Urals. His compositions are filled with musical mystery, built on the extraterrestrial motif, which causes the listener dive into the meditative and hypnotic state. Sistal believes that music can tell about a person more the man himself.